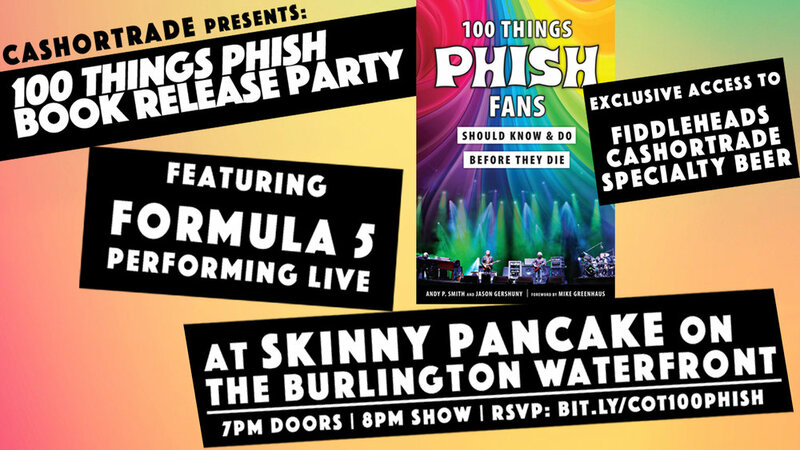 Andy P. Smith co-author of "100ThingsPhish Fans Should Know and Do Before They Die" will be selling and signing copies of his book and we will also be celebrating the release of an exclusive CashorTrade Double IPA that Fiddlehead Brewing Company has brewed and canned for us. This will be the ONLY place in town you will be able to get this beer. We are thrilled to have the extremely talented Adirondack jam band, Formula 5 performing live during this event. Music is FREE starting at 8pm!